San Francisco, USA - May 10, 2016: Phillip Burton Federal court house building entrance in San Francisco with several people walking in front of it or sitting against the wall. Don’t expect Jeff Sessions’ undoing of the Cole memo to unleash a nationwide crackdown. 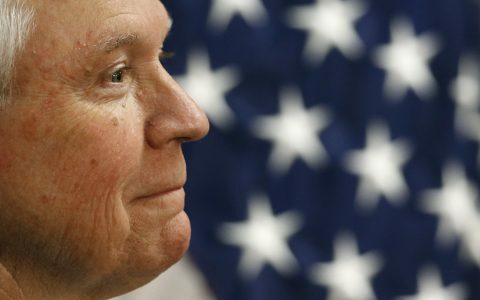 By rescinding Justice Department guidelines that encouraged federal prosecutors to take a hands-off approach in legal states, the attorney general isn’t so much dropping bombs as he is encouraging his lieutenants to fire at will. It will be up to individual US attorneys to pull the trigger. In other words, a crackdown on state-legal cannabis, if it comes, will likely happen unevenly. District by district, US attorneys will decide for themselves how to enforce federal cannabis law—or whether to enforce it at all. This is exactly what we saw in California during the last major federal crackdown, in 2011 and 2012. 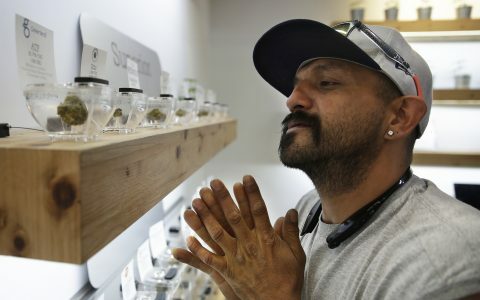 US attorneys in some parts of the state tried to close every dispensary in their districts, while others allowed shops to operate unimpeded. US attorneys are playing their cards very close to their chests. In this new normal, it’s crucial to understand not just Sessions’ views, but also where each US attorney stands on cannabis. 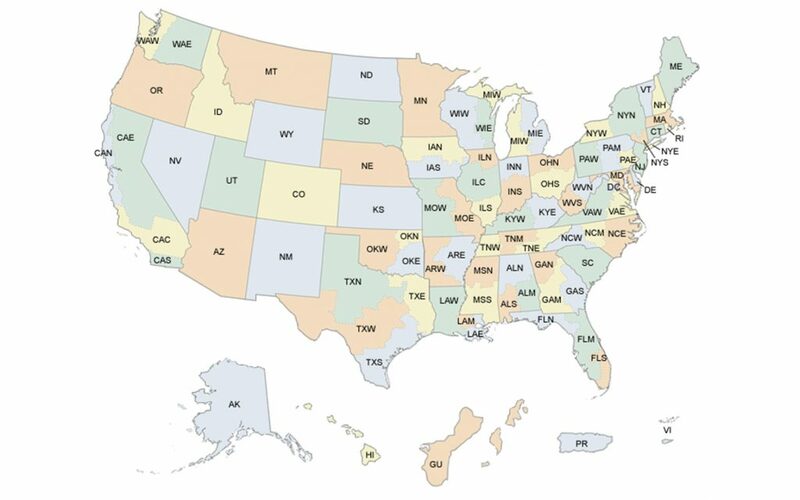 To that end, we’re tracking how US attorneys in legal states have responded to the removal of the Cole memo—and how likely they are to take action. You’ll notice a common theme as you read through this piece: US attorneys are playing their cards very close to their chests. Most have issued murky statements that can be interpreted in a number of ways. We’ve done our best to parse the available information and add to those statements to get a better sense of the risk of prosecution in that district. Initially we’ll be looking at states that have legalized adult-use cannabis. This page will be updated to include more information about US attorneys in medical-only states. US Attorney Brian D. Schroder, a Trump appointee whom the Senate confirmed in November, isn’t giving us much to go on. 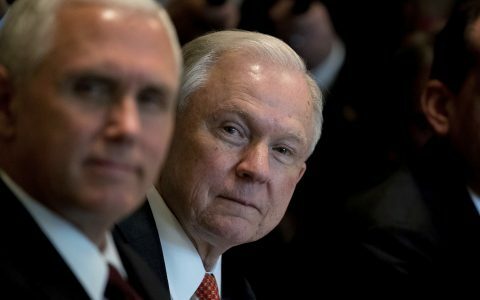 He said in a statement shortly after Sessions’ announcement that his office would continue using “long-established principles” in deciding which cases to charge. He added that violent crime, including that which stems from drug crimes, has been a top priority. His office has declined to comment further. Schroder’s statement—like his record on cannabis—is awfully thin. Aside from any violent incidents in the state system, which would almost certainly draw his attention, it’s not yet clear what action, if any, his office might take. Interim US Attorney Nicola T. Hanna took his post last week, when Sessions appointed him and 16 others as interim US attorneys. So far both Hanna and his predecessor, Sandra Brown, have been mum on enforcement, which could be an ominous sign if the office weren’t in the midst of a transition. As it is, it doesn’t tell us much. It’s worth noting that Hanna was a federal prosecutor in Los Angeles and San Diego during the 1990s, when the war on drugs was in full swing. He then left the office for private practice, taking a position at the international firm Gibson Dunn. He hasn’t said much on cannabis, but in the 2016 presidential election, records show he gave $2,700 to the campaign of Chris Christie—a notorious anti-cannabis crusader. Complicating it all, Hanna’s gig is only temporary. As an interim US attorney, he can serve for 120 days until President Trump must appoint someone and seek Senate confirmation. 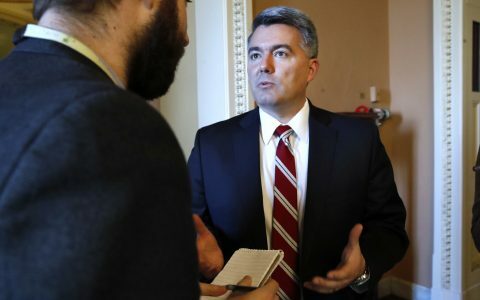 Following Sessions’ memo, Scott spokesperson Lauren Horwood said the office would evaluate possible enforcement actions “in accordance with our district’s federal law enforcement priorities and resources.” That’s pretty standard boilerplate and doesn’t tell us much, but Scott’s enforcement history suggests he wouldn’t be shy about going after cannabis businesses if he feels they’re too far out of line. 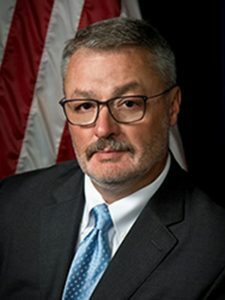 Acting US Attorney Alex G. Tse took over for former US Attorney Brian Stretch, who announced through a spokesperson on Jan. 4 that he would be leaving the post. It was the same day Sessions rescinded the Cole memo, though Stretch said the announcement was not the reason for his departure. 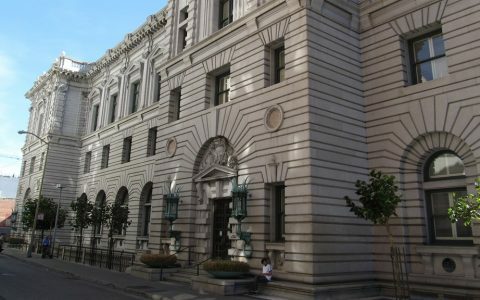 Despite their San Francisco office location, Northern District prosecutors have a reputation for interfering with California’s legal-cannabis system even when local officials push back. The office famously undertook—and famously lost—a multiyear case against Oakland’s Harborside Health Center, perhaps the state’s best-known dispensary. Tse, for his part, spent most of the 2011-12 federal crackdown in California working in the San Francisco District Attorney’s Office. The experience likely gave him an understanding of the close working relationship between federal and local authorities—something that might give him pause before bringing cases against locally approved, state-licensed businesses. On its face, that seems just fine. State-legal cannabis has shrunk the illegal market in the United States, and Braverman may rightly see prosecuting licensed businesses as a surefire way to reinvigorate cartels. But sometimes when you’re a hammer, everything looks like a nail. If Braverman does his homework, he’ll see that legalization tends to accomplish those priorities. But if he views legal cannabis as part of the problem, watch out. 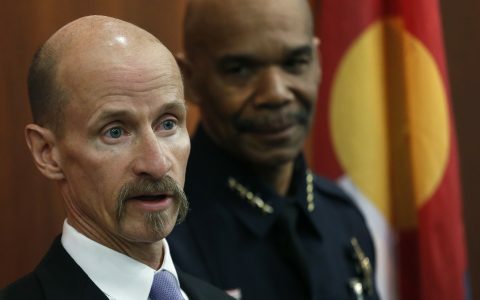 Here is the question we ask every time we consider allocating our finite resources to prosecute any of the vast number of federal crimes we can prosecute, from violent crime to immigration crime to opioid crime: Will this prosecution make Colorado safer? … Under the attorney general’s new memo, we have more freedom and flexibility to make decisions that make Colorado safer by prosecuting individuals and organizations for marijuana crimes that significantly threaten our community safety. US attorneys often point to their own district’s unique needs when explaining their enforcement priorities, so this doesn’t tell us much—although it does suggest Troyer could take action in response to local officials who believe legal cannabis is a threat to public safety, as has happened in past crackdowns. Unlike some other US attorneys, Frank has spoken out publicly against legalized cannabis in the past. In a 2013 column in The Forecaster newspaper (published after the Cole memo), he wrote that when “there is a conflict between state and federal law, federal law prevails.” Maine’s state law, which at the time allowed medical use of cannabis, “is not a defense to federal prosecution for manufacturing or distributing marijuana,” he wrote. This is a straightforward rule of law issue. Congress has unambiguously made it a federal crime to cultivate, distribute and/or possess marijuana. As a law enforcement officer in the Executive Branch, it is my sworn responsibility to enforce that law, guided by the Principles of Federal Prosecution. To do that, however, I must proceed on a case-by-case basis, assessing each matter according to those principles and deciding whether to use limited federal resources to pursue it. This has the noncommittal air of some other US attorneys’ statements, but the tone is comparatively harsh. While it doesn’t signal a categorical crackdown on cannabis businesses, it certainly suggests the office could bring targeted actions against certain state-legal actors. More worrisome is the relative lack of local pushback to Sessions rescinding the Cole memo. 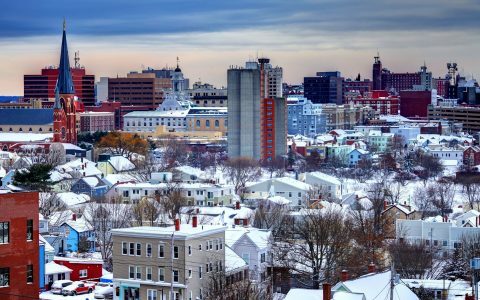 While officials in many other legal states have decried the move, Massachusetts elected officials, many of whom opposed the 2016 ballot question that legalized cannabis, have been relatively quiet. Interim US Attorney Dayle Elieson was one of 17 interim US attorneys appointed by Sessions last week. Before the appointment, she was an assistant US attorney in Texas, where she focused on fraud, money laundering, and terrorism. As a new arrival to Nevada, she’s a relatively unknown quantity, and Nevada officials are eagerly awaiting further guidance from the office. Nevada’s legal cannabis program has strong support from state and local officials, which could help dissuade Elieson from taking a hardline stance legal against legal cannabis while still new to the office. 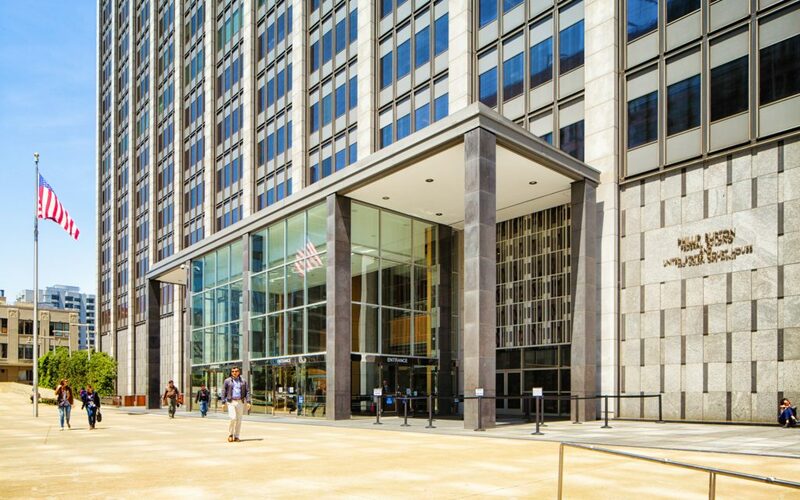 Federal prosecutors tend to work closely with local law enforcement and other partners, and targeting cannabis could risk hurting those relationships. As an interim US attorney, Elieson’s post is only temporary. 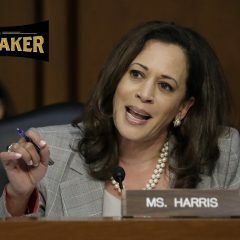 She’ll be able to serve for 120 days before Trump must nominate someone for the position and seek Senate confirmation. Update, Jan. 12: In a guest article published in the Oregonian newspaper, US Attorney Billy J. Williams wrote that he has “significant concerns about the state’s current regulatory framework and the resources allocated to policing marijuana in Oregon.” Pointing to evidence of overproduction by cannabis growers, diversion of Oregon cannabis to other states, and potentially negative effects on public health, he says he will be launch a summit to bring together stakeholders and discuss how to proceed. This summit and the state’s response will inform our federal enforcement strategy. How we move forward will depend in large measure on how the state responds to the gaps we have identified. Until then it would be an inappropriate abdication of my duties to issue any blanket proclamations on our marijuana enforcement strategy in light of federal law. 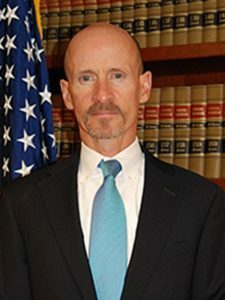 Williams, who became an acting US attorney in 2015 and was nominated by Trump in November to remain in the post, had already expressed concerns with the state’s cannabis regulatory system. 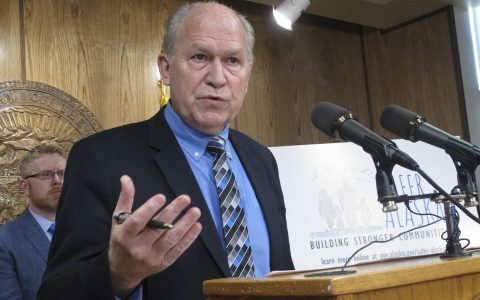 In an interview with the Associated Press last year, he complained about what he said was insufficient enforcement by the state to prevent cannabis from being illegally exported to states where it’s not legal. Stopping diversion to other states was a key piece of the now-rescinded Cole memo. As noted by Attorney General Sessions, today’s memo on marijuana enforcement directs all U.S. Attorneys to use the reasoned exercise of discretion when pursuing prosecutions related to marijuana crimes. 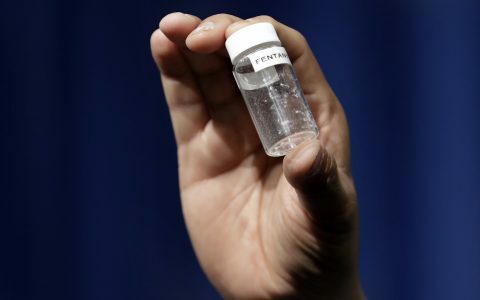 We will continue working with our federal, state, local and tribal law enforcement partners to pursue shared public safety objectives, with an emphasis on stemming the overproduction of marijuana and the diversion of marijuana out of state, dismantling criminal organizations and thwarting violent crime in our communities. It sounds like Williams might be OK with Oregon’s cannabis program when it works, but failures—including things like diversion, violence, or illegal sales to minors—could prompt him to take action. 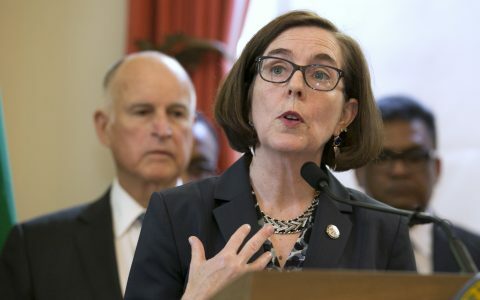 So he’s presumably not too pleased with reports like one issued this week by Oregon cannabis regulators that found a number of stores around the state that reportedly sold cannabis to minors. Washington, DC, is unusual in that it allows individuals to grow, possess, consume, and even give away cannabis but, due to pressure from federal lawmakers, forbids purchases or sales. The laws have led to the emergence of a thriving gray market in which consumers make “donations” or purchase other items and are “gifted” cannabis as part of the transaction. 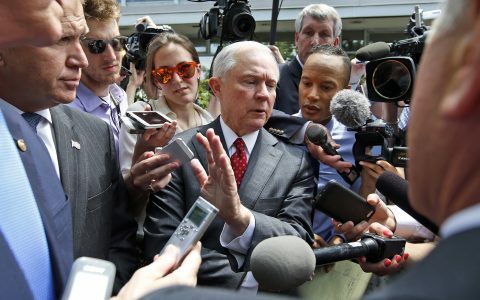 Liu may take a closer look at these businesses—they are, after all, operating in Jeff Sessions’ backyard—but it seems unlikely at this point that she’ll bring cases against individuals who follow the law. Interim US Attorney Joseph Harrington was another of the 17 interim US attorneys appointed by Sessions last week. He’s a longtime federal prosecutor, with nearly three decades of experience handling the office’s criminal division, health care cases, and terrorism matters. Harrington has said hardly anything about how Sessions’ move would affect his office’s cannabis enforcement. 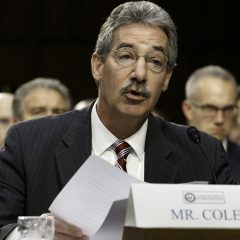 Immediately following the undoing of the Cole memo, he directed questions directly to the main Justice Department press office in Washington, DC. The Eastern District, nevertheless, has come to be seen as an aggressive enforcer by many in the state’s legal cannabis industry. The office sought criminal charges, for example, against a family of medical cannabis patients who became known as the Kettle Falls Five. 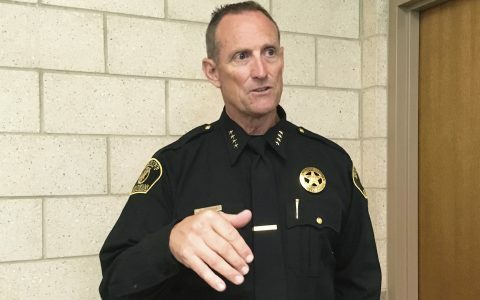 Harrington filed a motion in October to put that case on pause, noting that a federal spending provision—which had been adopted three years earlier and halted a blockbuster California case in May 2016—prevented the case from going forward. 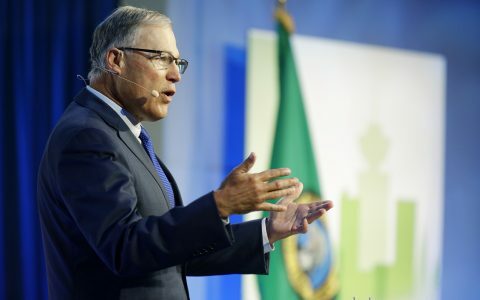 But that provision, the Rohrabacher–Blumenauer amendment, is set to expire later this month, and it only blocks prosecutions against medical operations. Currently nothing stands in the way of Harrington bringing cases against the state’s many adult-use businesses. This may be the most supportive statement of state-legal cannabis to come out of a US attorney’s office in the wake of Sessions’ announcement. Read between the lines. Hayes’ almost cheeky use of “reiterated” suggests little or nothing has changed in her eyes. Rather than read Sessions’ move as a sign the attorney general wants to see more cannabis cases—which, given Sessions’ views on cannabis, it almost certainly was—Hayes’ comments interpret the memo as an endorsement of local discretion. “Thanks for trusting us to do a good job,” the statement seems to say. It’s likely that wasn’t by accident. 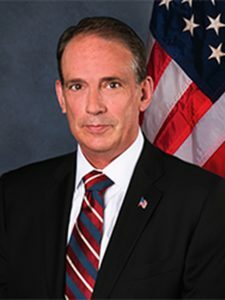 US Attorney Mike Stuart, a Trump appointee whom the Senate confirmed in December 2017, practiced business and tax law before being appointed to his Justice Department post. Since then, he’s issued a series of statements suggesting he’d like nothing better than to crack down on his state’s medical cannabis program. 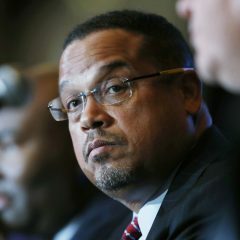 Most recently, on March 8, he tweeted that his office is “preparing to enforce laws against marijuana aggressively – AGGRESSIVELY.” He appeared to be basing his approach on feedback from drug-treatment professionals who claim that cannabis is a gateway drug. Have visited many treatment facilities. Every single treatment professional – EVERY SINGLE ONE- has told me “Marijuana is a gateway drug.” My office is preparing to enforce laws against marijuana aggressively – AGGRESSIVELY. As of the tweet, however, Stuart’s hands are pretty much tied. 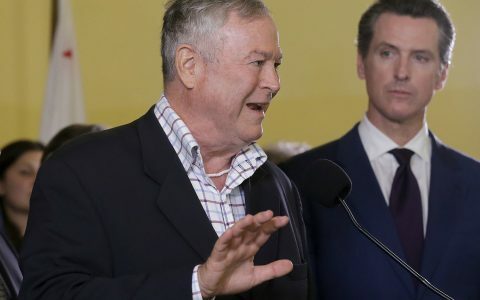 The congressional Rohrabacher–Blumenauer amendment currently prevents the Justice Department from prosecuting state-compliant medical marijuana patients and providers. Correction: An earlier version of this story misspelled the name of US Attorney McGregor W. Scott. Leafly regrets the error. Who decides the prosecution risk? 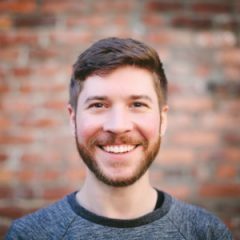 You say the Northern CA district has a reputation for interfering with the industry but say the risk is low when you give no reasoning for that conclusion? Good question. I decided the prosecution risk. For California’s Northern District, I was considering Tse’s time at the SF District Attorney’s Office, the fact there’s been relatively strong pushback from local officials in that district, and the fact Tse doesn’t hold a Senate-confirmed post. These prosecution risks are educated guesses and, as I hope I’ve noted, are based on statements that don’t tell us much. Is the prosecution risk “low”? I think it’s safe to speculate that it’s lower than in the Eastern District, and frankly I don’t see a good justification (just yet) for slapping a high-risk label on any district in California. Also, the Northern District’s reputation was earned (in large part) under then-US Attorney Melinda Haag. A lot has happened since then. This coercion from the Federal level by Conservatives who always tells us that government decisions at the local level are best because they are closet to the people. Short of impeachment, anybody that thinks Sessions won’t bring some Federal pressure on AGs to “show some action” is a fool. These clowns are driven by their ideology. What is right or wrong is of little consequence compared to how they “feel”. 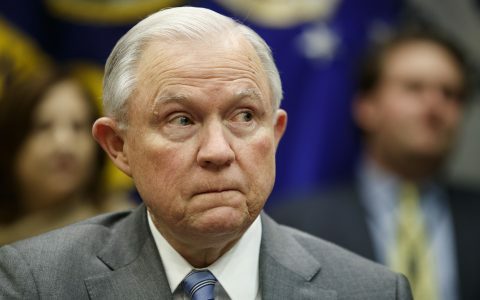 Why would anything not think that Sessions consider MJ a shithole business? One thing for sure they will be inundated with law suits against the people trying to ruin the states regulations. The state’s attorneys general will go tooth and nail against any undue actions by the federal government. The congress may yet make the whole matter moot, by preventing the DOJ from using any money to interfere with legal cannabis. It will not be like the currant rider that prevents the DOJ from doing anything to medical, this one will be a one time thing that doesn’t have to be snuck in on an other bill it will be permanent. End of problem, maybe? Jeff Sessions; His inbreeding is becoming apparent. He has several (if you notice) missing genetic characteristics. Intelligence, not the only one. His distorted, pathetic and demented view of reality is seriously in question. Just another greedy corporate puppet, Big Pharma or Big Oil occasionally dress’s him, feeds him and then dangles him in political forum’s. His ‘Igor’ personality would do better in a Dracula movie than public office. Trump’s number one Toady. 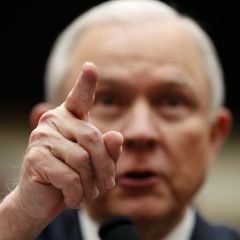 I certainly object to an INBRED KEEBLER ELF being allowed to make decisions that affect or are forced upon me. He should never have been allowed into any position of public responsibility.We should all struggle to remove or reform the Republican Party. If you are a dispensary, grower, cultivator, transporter, extractor, manufacturer, or landlord/building owner, Leaf Insurance provides the most comprehensive and cost-effective coverage in the cannabis industry. We provide insurance for cannabis cultivation in the Los Angeles and Oakland regions, CA. Our insurance agency caters to both personal and business ventures.